Acupuncture has been studied and utilized for over 2,500 years by Traditional Chinese Medicine practitioners for a wide range of maladies. As opposed to Western medicine, Acupuncture is more preventative, so most people can benefit from a treatment even if they feel well. 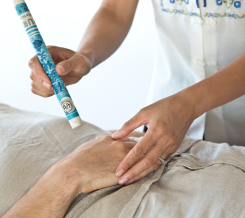 The acupuncturist performs a diagnosis, then inserts needles to stimulate energy channels or meridians. Every treatment is custom and adaptable, no two treatments are ever the same! 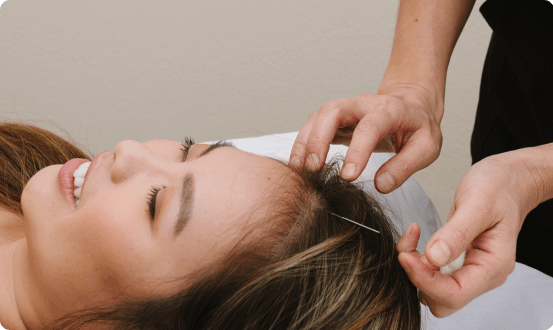 The World Health Organization has listed over 28 diseases and symptoms for which acupuncture has been PROVEN to be an effective treatment. In addition, they note therapeutic results from acupuncture for another 50+ symptoms in which clinic testing is still ongoing. Acupuncture is quickly being integrated into mainstream Western medicine treatments as well. Both the late Dr. Han and Tram Pham worked in a hospital environment in the past. Dr. Han was renowned for his work with cancer patients, with some crediting him with saving their lives. 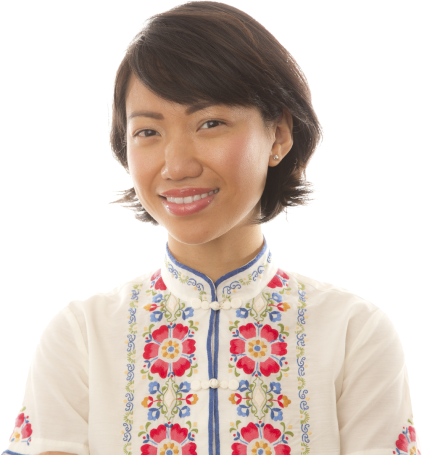 Tram is a proponent and practitioner of the Balance Method, which she learned under Master Richard Tan. The Balance Method is a revolutionary system based predominantly on the use of distal points. Distal points in acupuncture refer to points which are not located at the site of pain. For example, many systems of acupuncture would treat left knee pain by inserting a series of needles at the site of and around the affected left knee. A distal healing practitioner following the Balance Method would instead insert the needles at opposite relational points in the body, such as the right elbow, right shoulder, etc. That's perhaps overly simplistic as every situation varies depending on diagnosis, but should help to illustrate the difference in the styles. Tram noted an immediate significant improvement in the results from her acupuncture after applying Master Tan methods and followed him closely thereafter, training directly under him whenever possible during the last years of his life. Acupuncture treatments may also feature additional therapies at no extra cost, as prescribed for your condition. Needle-phobic patients need not worry! 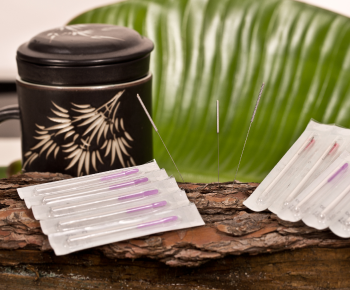 We only use premium quality, thin Japanese acupuncture needles to enhance the experience for each of our patients. Our needles are thinner and sharper than the Chinese needles used by most practitioners. The result is a more comfortable experience, as they go in easier. While our needles are more expensive, we bear the cost and do not charge our patients more for the upgrade.